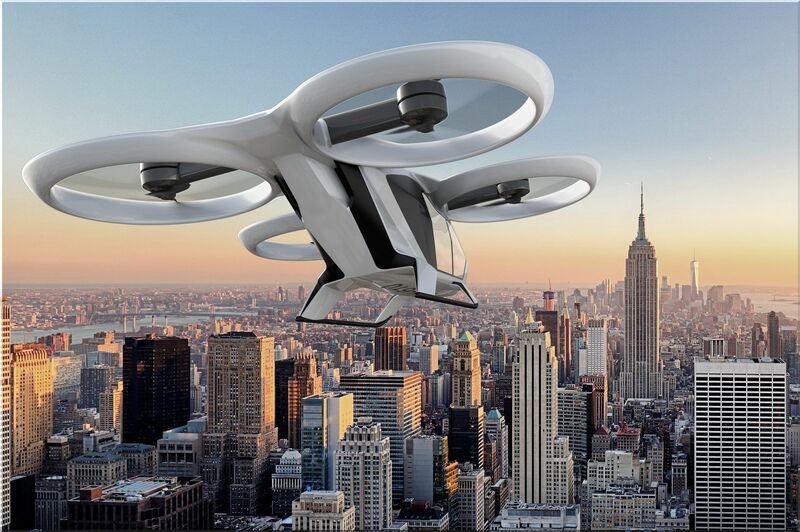 European aerospace firm Airbus has now presented the electric air taxi CityAirbus in Ingolstadt, Germany, which will become a testing ground for testing this transport technology. Ingolstadt is a member of the Urban Air Mobility (UAM) Initiative project, within which it is possible to use passenger unmanned flying vehicles in urban environments. CityAirbus will carry up to four passengers on regular routes, for example, from the airport to downtown. It is assumed that over time, the flying taxis will become fully unmanned and will serve as an efficient alternative to ground public transportation. These air taxis can be used in the field of health, for example, to quickly transport doctors, donated blood or organs for emergency operations. Developers see flying electric vehicles as an alternative to cars and ordinary public transport, but not classic air travel. 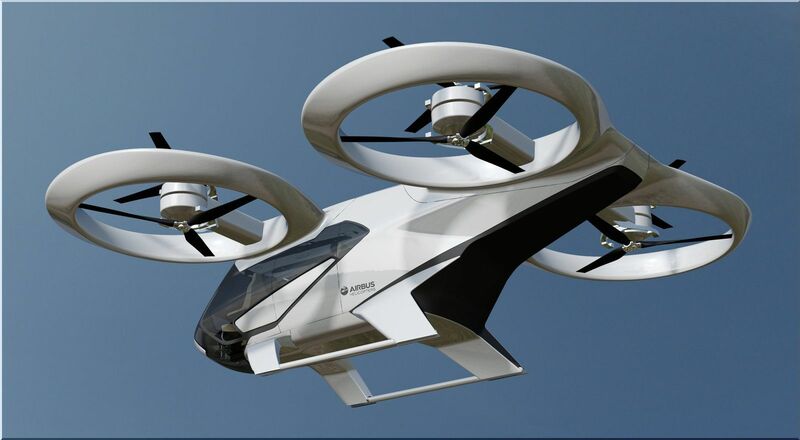 It is reported that the flight range of CityAirbus will be about 50 kilometers, and the maximum speed - 120 km / h.
CityAirbus will begin testing in mid-2019. Airbus foretells that the advancement of legislation for the use of unmanned passenger vehicles in the EU will last at least until 2025. The development of flying taxis has become a real global trend, in which both large companies and small start-ups have entered. 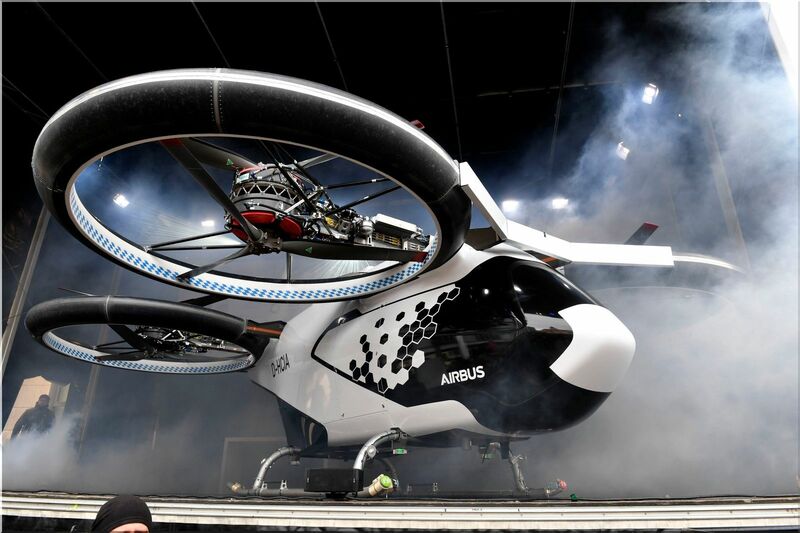 The flying taxi CityAirbus was developed at Airbus' helicopter plant in Donauwoerth, Germany.